The RFX experiment is a torus where a plasma ring is confined by a magnetic field. 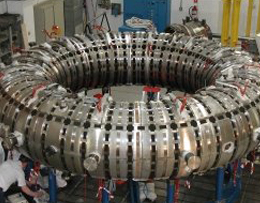 The objective of the RFX experiment is to examine plasma for fusion. 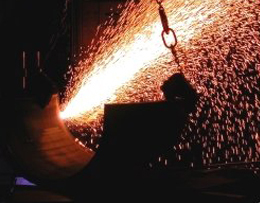 Bilfinger Noell supplies the toroidal device and the stainless-steel support structure. The electrical properties of the device were subject to comprehensive testing for qualification.